I've long held a deep interest in and admiration for the Antipodean war against Japan, and especially for the operations of the Royal Australian Air Force (RAAF) and Royal New Zealand Air Force (RNZAF), but internationally this subject tends to be somewhat over-shadowed by America's war. Many of the more personal accounts of Australian and New Zealand involvement are privately published or published by small printing houses and are often unlikely to be found in British bookshops. It takes a little determination to search out and find such gems as 'It Had To B.U. ', 'The Whole Nine Yards' or 'Kittyhawks And Coconuts' but by perseverance and patience one such slim and fascinating volume found its way into my hands over ten years ago. 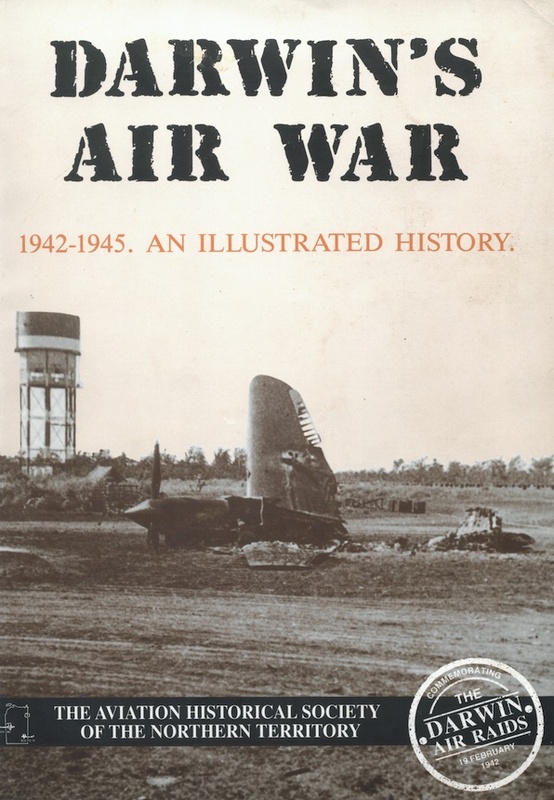 It was 'Darwin's Air War 1942-195. 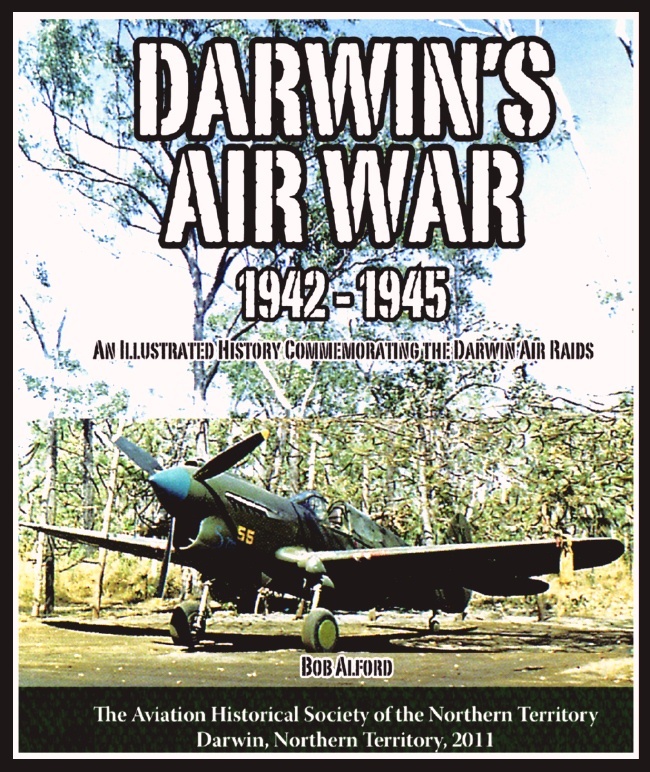 An Illustrated History' published by the Aviation Historical Society of the Northern Territory in 1991 and authored by Bob Alford. Packed within its 80 pages was a veritable cornucopia of revelations, data and photographs as well as a perfect demonstration of how to combine the historical, the visual and the interesting to relate a story that is both illuminating and readable. 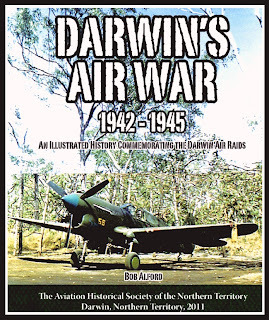 Now Bob has reprised the 1991 book and expanded it into a magnificent 260 page 2nd Edition documenting the aerial warfare over and around Darwin from 1942 to 1945 ('Darwin's Air War 1942-1945 An Illustrated History Commemorating The Darwin Air Raids', published by the Aviation Historical Society of the Northern Territory Inc., 2011 - ISBN 978-0-9807713-05). The inclusion of 'Illustrated History' in the title often suggests a book with lots of pictures but little meat. Nothing could be further from that here. The book is packed with meticulously researched information and data. 9. A Show of Force - the Japanese a fading threat? Darwin's Air War is very highly recommended. 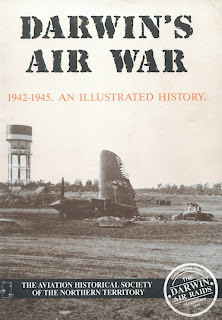 To order a copy please email Owen Veal the manager of the AHSNT's Aviation Museum. Has Bob advised where and how to purchase a copy of his new edition? I've now added the email contact details to the review.